DJs and Entertainment in Las Vegas is our specialty! Bliss Entertainment is serious when it comes to providing professional DJ services. The success of your event relies heavily upon the performance of the DJ. So what makes a good DJ? First and foremost you want someone who is fully equipped with the gear and technology they need, the client information that they need, and the attitude that they need! 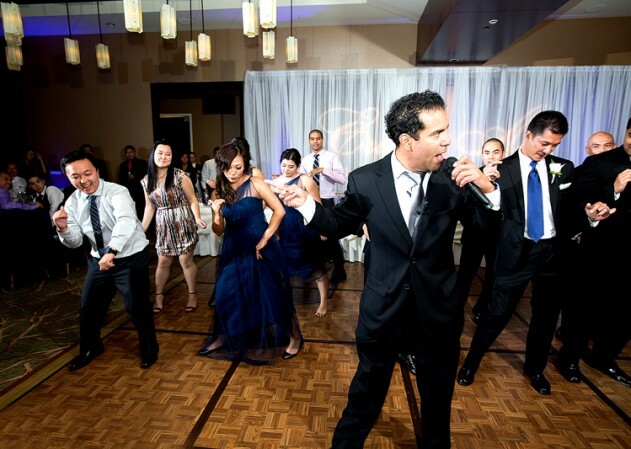 Attitude is everything when it comes to providing “Master of Ceremony” services at your event. So what separates Bliss form other companies that provide DJ services? Within our network of DJ’s lies years and years of experience. Everything from weddings, to corporate meetings, to high-end nightclubs, our DJ’s have done it all! Along with their extensive libraries of music to choose from comes an extensive knowledge of the live music production scene. When you choose Bliss for providing DJ services, not only are you getting professional, seasoned DJ’s, but you’re also getting top-of-the-line equipment. We don’t cut corners when it comes to the gear we use. The music controllers or turntables, the loud speakers, even the cables we use are above standard. The only thing worse than having the wrong selection of music is distorted music coming out of blown speakers. Last but certainly not least is our attentiveness to detail. We go through extensive processes to prepare for your event. From planning to execution and everything in between… we are with you every step of the way. The more information we have, the better we can service your event. Itineraries, music selection, guest lists, everything gets recorded for use by us on the date of your special event. If you want a memorable night that your guests will never forget then look no further than to DJ services with Bliss Entertainment group! We would LOVE to help you for your event and invite you to browse our website and reviews. Once you are confident that we are the right company for your big day, please click here to contact us or reach us directly at (702) 217-8528. Why is a good DJ important? Many, many times we hear the statement “I found a DJ for $500 at the bridal show and I think we will go with him”. When I hear this, my first question is why that DJ? Almost always when they say this first sentence, the next sentence is “because we don’t want to pay too much for the DJ”. While we can of course understand the need to be frugal, this is probably the number one mistake I see clients make when it comes to choosing the DJ for their wedding reception. A wedding DJ (disc jockey) has become so much more than the person who stands behind the speakers and plays music. When choosing your DJ, keep in mind that this is your master of ceremonies. This person will guide you and your guests through the wonderful reception you have planned, from introducing you and your new husband, to letting your guests know when the food is served, to entertaining them and keeping them on the dance floor into the late night. Their skills behind the microphone and choosing music is truly a talent. Think about it: the DJ is the one wedding vendor who can literally drive your guests out of the building. Yes, the food could be bad, but that just means everyone will be picking up another meal on the way home. If your DJ is horrible, they can literally have your guests fleeing from the event and of course, it will definitely be the talk at the water cooler the next morning. Consider this comment one of my clients left on Facebook when discussing the garter toss: “I was at a wedding and the DJ does the screeching music stop and goes ‘Whoa, slow down buddy! She’s not gonna like that speed later tonight!’”. Is that really what you want your guests to be talking about the next morning? Consider more than the price when choosing the entertainment for your wedding. Look for a personality, attitude and knowledge of music that matches the ambiance you want to create for your special day. Think about what value you would place on the mood you want to create, then look at the investment cost the DJ is asking of you. You will not regret your choice if you take all of these details account and balance them according to your needs. Here at Bliss Entertainment Event Group, we take all these factors seriously. All these little factors are the ones that matter most and means the success of your big day.